If you use an iDevice, there is always a possibility of erasing the data on your device at some point. For example, you may want to sell or donate your iDevice and this requires you to erase all your data for privacy concerns. There is also an issue of your device performing sluggishly as a result of lack of storage space which may prompt you to erase iOS data to free up space and get it back to the optimal speed. Whatever the case, there is a need for an iOS eraser and this article looks at some of them. 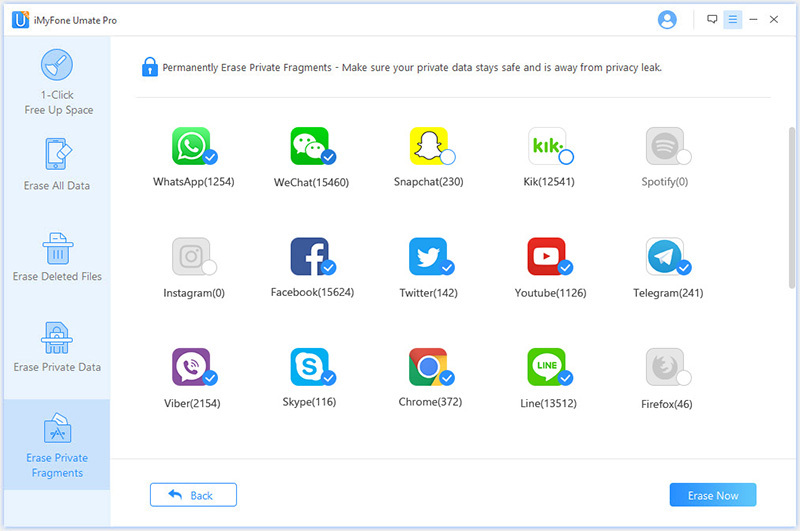 It’s unique function of erase private data of third party App (WhatsApp, WeChat, Snapchat, Instagram, Facebook, etc.). Step 1: Run the program and connect your iDevice to it. Step 2: Choose the required erase mode and scan your iDevice. Step 3: Click on “Erase Now” to Erase your iOSe data permanently. 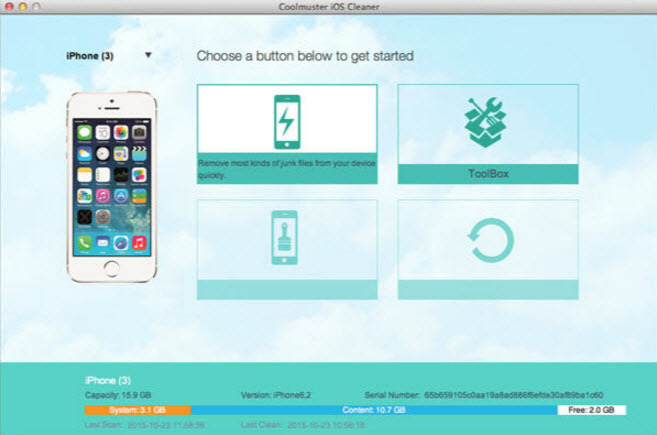 The Coolmuster is also a top iOS eraser capable of erasing all kinds of data on your device. Like most other data erasers, it can erase messages, videos, photos, contacts etc as it also makes it impossible to be recovered once erased. This is an app that is designed to allow users to clean up iOS data files like contacts, messages, photos and all other types of files easily. 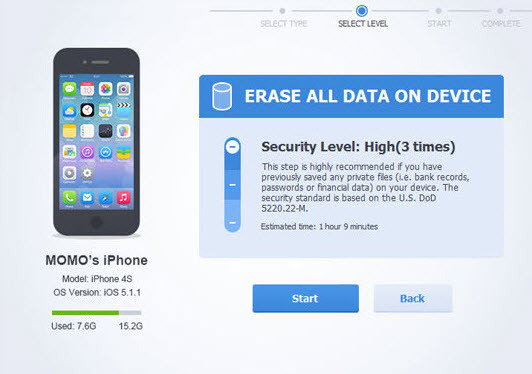 It has four erase modes that can be used for this purpose and like other data erasers, files deleted with this app cannot be recovered again. This software is also another top data eraser capable of erasing unwanted files on your device. It is also capable of erasing all kinds of files in different format and it can do the job really fast. The software can also ensure that deleted files have zero possibility of recovery and this protects your privacy in the process. This is another top tool capable of cleaning your device by erasing unwanted files in a smooth and fast way. It boats of unique features like ultimate speed up and hands free cleaning. 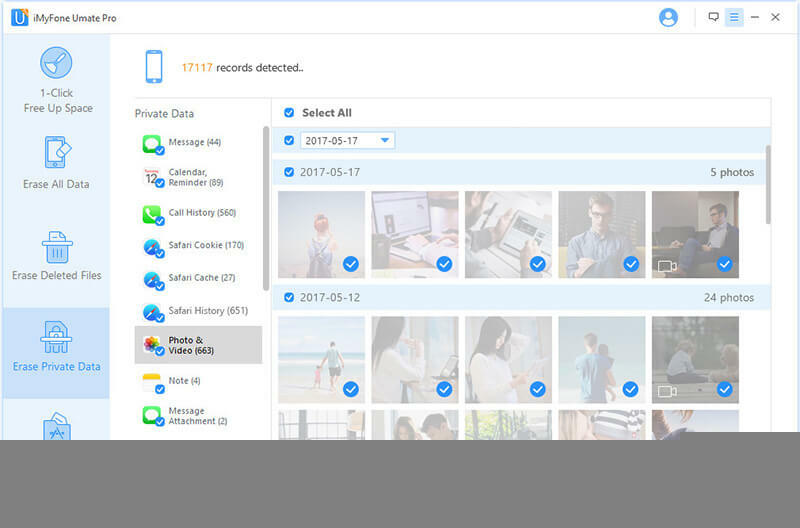 Like other data erasers, Phoneclean supports all file formats and it can also ensure that data erased cannot be recovered. Free Trial version: Umate Pro presents you with a free trial version to checkout your iDevice data before committing your funds. This is a testament of quality and assurance that you will not regret using the product. Permanently Erase: It is confirmed that the Umate Pro permanently erases data leaving them 100% unrecoverable. This makes your information safe from data thieves even if you sell or donate your device. Erase Previously Deleted Data: Even if you have previously deleted your data using the simple deletion on your device, do not forget that it can be retrieved. However, the Umate Pro is capable of retrieving these deleted files and erasing them permanently so that they cannot be recovered. Erase WhatsApp and WeChat: Social media platforms like WhatsApp and WeChat applications sometimes become dangerous for your privacy protection. The Umate Pro is capable of erasing all your WeChat and WhatsApp data so that it cannot be seen by anyone. Erase Third Part App Fragments: This is a unique feature of the Umate Pro as it erases all third party app fragments left behind on your device. It erases it permanently without leaving a trace. If you want to clear up or delete music on your iDevice, please try this iOS music transfer, which can freely transfer iOS music between iOS and iTunes/PC, as well as delete and export iOS music.